Where AR enhances the real world environment with digital information, VR or Virtual Reality brings you out of the real world into a fully virtual one. This results in differing levels of immersion. For example, in AR, we can interact with an object via our computers or mobile devices yet remain very much aware of our own world. In VR, we experience a total immersion into the virtual world and would be ignorant to our physical surroundings. How is AR being used now? A movie in 1998 called ‘Who killed Roger Rabbit” was an early foray into placing an animated character into our real world. This was somewhat of an augmented reality situation. Years on, viral applications such as Pokemon Go are having us interacting through our computers or mobile devices. Aside from gaming, AR is now hugely successful in medical, aeronautical, architecture and construction. On a smaller scale, AR also finds it’s way into greeting cards, animated wall pictures, and name cards, just to name a few. 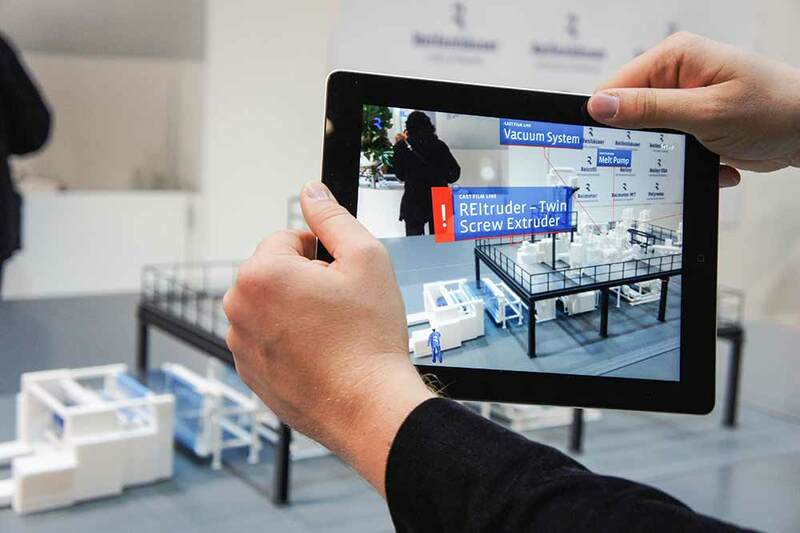 Their use comes in two forms, (1) a way to engagingly showcase products and services or (2) to add a layer of interactivity where you can actually interact with the ‘AR object’ e.g. having children learn biology by letting them peel away the various segments of an AR insect’s anatomy. How can I use AR for my organization? This is definitely an exciting tool of communicating that is now fast becoming popular. However, many corporates are just beginning to get their feet wet. AR is being experimented by corporates as a way to communicate, train and engage with the millennials. Others are exploring using it as a sales toolkit for showing their products, a great boon especially if the product is not easily portable. When used creatively, it brings a high level of cognition and emotional engagement. Is AR expensive and how do I get started? We are glad to state that, in the industry, a simple application can be done for below SGD$10,000. Of course, there are various aspects of technology that are applied in presenting an AR product. The level of interactivity to be enhanced also needs to be considered. These all have an impact on quality and thus the cost. A good way to start is to invite an AR developer to have a discussion! A competent developer will help you to clarify and refine the purpose of delivery and define specific, measurable deliverables. Naturally, AR can’t be the best solution to all needs but when a business-technological fit is discovered, the client impact of AR will be revolutionary.